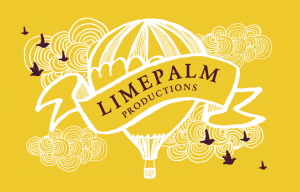 Limepalm Productions deliver fun, creative drama classes for primary school aged children. At Drama Club we aim to help your child build self-confidence, communication skills and meet other children in a safe, relaxed, informal and creative environment. Games and imaginative play explore drama and movement, speaking and listening and associated theatre arts. Course leaders are Director of Limepalm Productions Susie Leppard (BA Hons Drama and Theatre Arts) and Holly Seymour (BA Hons Upper Primary/Lower Secondary Education in English with QTS). Limepalm run weekly, Saturday morning sessions in Lindfield and provide the very popular after-school drama clubs at Lindfield Primary Academy. Limepalm are thrilled to be taking part in the 2017 Lindfield Arts Festival. Join us for a fun-filled workshop offering a great opportunity to see what we do. This session will feature drama games, silly songs, improvisation and lots more. No previous experience necessary! Please wear comfortable clothes and bring a water bottle. « Chelsea Hart is a Headline Comedy Act at LAF2017!